Global Citizen Forum and the World Economic Forum’s Global Migration Council have released a jointly commissioned study on enhancing the understanding of global residence and citizenship programs. 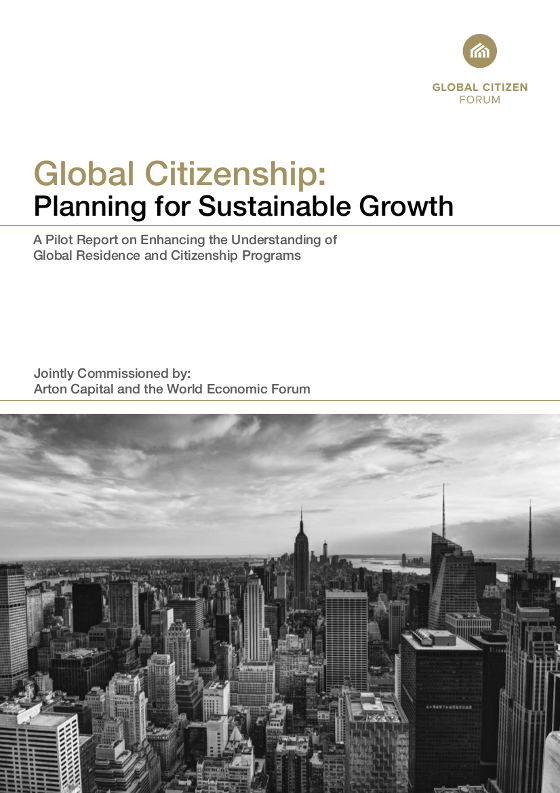 The report is entitled Global Citizenship: Planning for Sustainable Growth and was launched at the Global Citizen Forum in Toronto. The pilot report, conducted over six months, consist of four key highlights. It is based on a large-scale comparative study, combining data and analysis from a representative range of countries around the world. The report also draws on interviews conducted among a range of stakeholders – and this diversity of perspectives enhances its insights and analysis. Furthermore, the report identifies a methodology for further research in this field. Last but not least, the report proposes ten recommendations, in an effort to improve the governance of global residence and citizenship programs. Discover more.